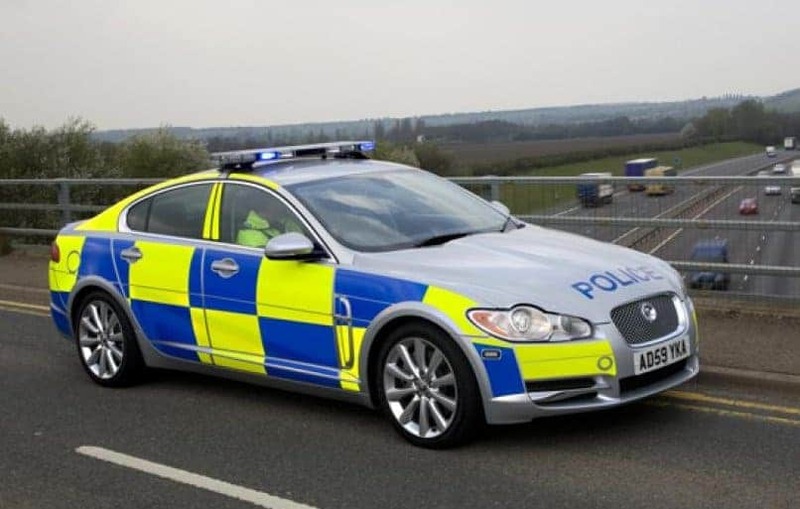 It seems only natural that someone would use a beautiful British luxury automobile to catch the baddies, so it should come as no surprise that you’ll find this car in the United Kingdom. 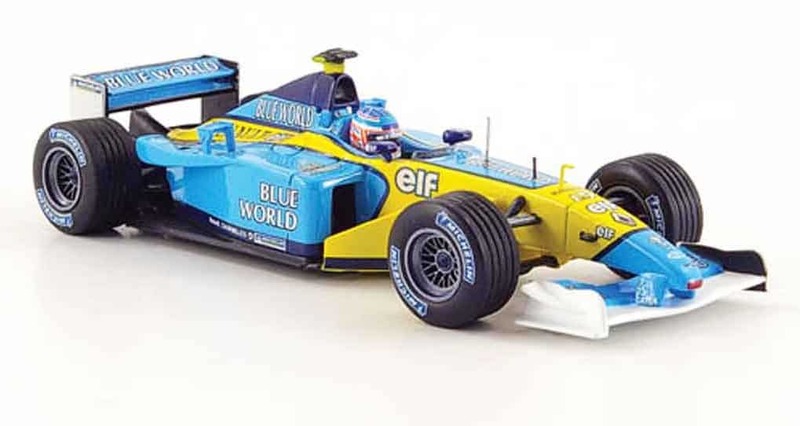 Ever see that James Bond film where Bond’s cool car was a Lotus? 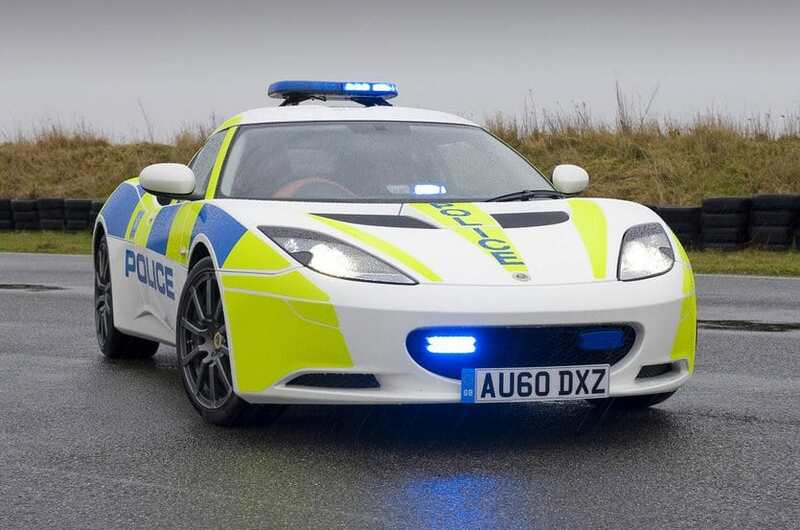 So did the police officers in Sussex, United Kingdom, which is why they probably got this car for their police cruiser. 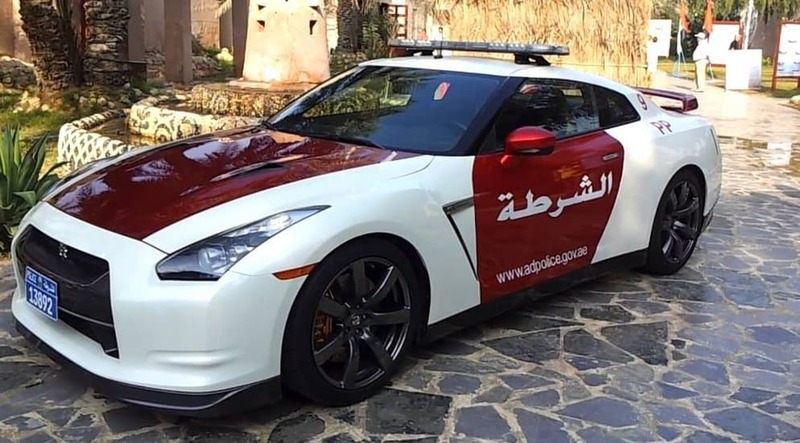 It’s only appropriate that a place where there are tons of super cars, Abu Dhabi, U.A.E., the police would respond in kind with the super fast Nissan GT-R.
Just north of Detroit is Bloomfield Hills, Michigan, where the police officers represent not only Detroit auto-making but luxury as well with this Cadillac XLR-V. Equipped with 276 horsepower and accelerating from 0-6 in 5.1 seconds, you’ll find this Lotus Evora in the United Kingdom. 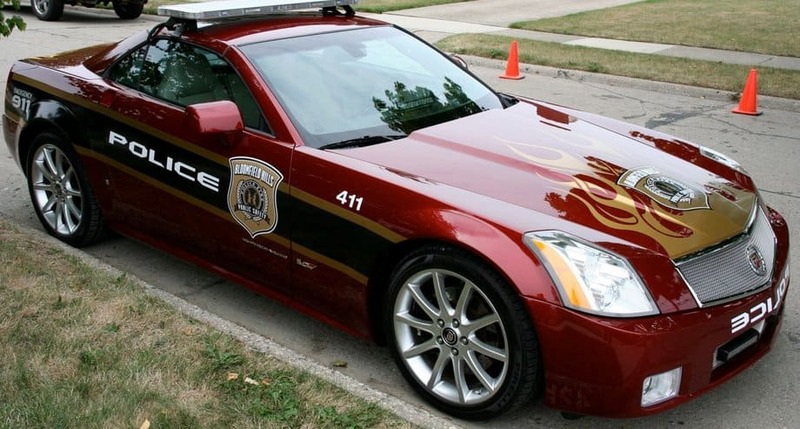 Bloomfield Hills, Michigan, knows how to buy American with this Corvette police cruiser. 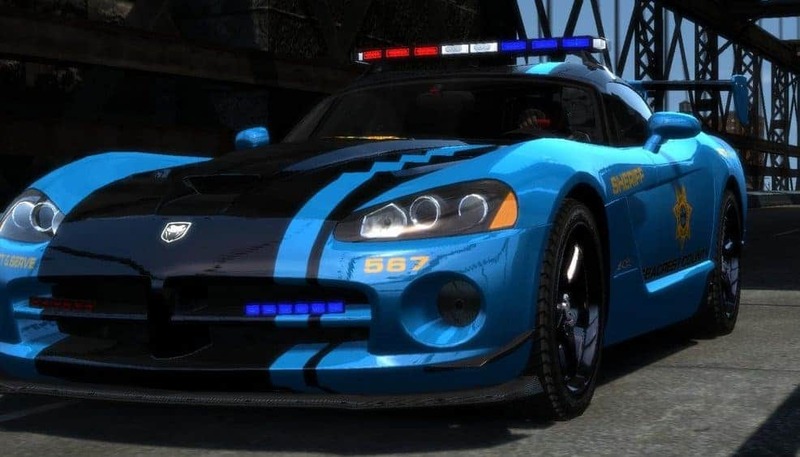 If you’re caught speeding in South Carolina then you might catch a glimpse of this Dodge Viper police cruiser. 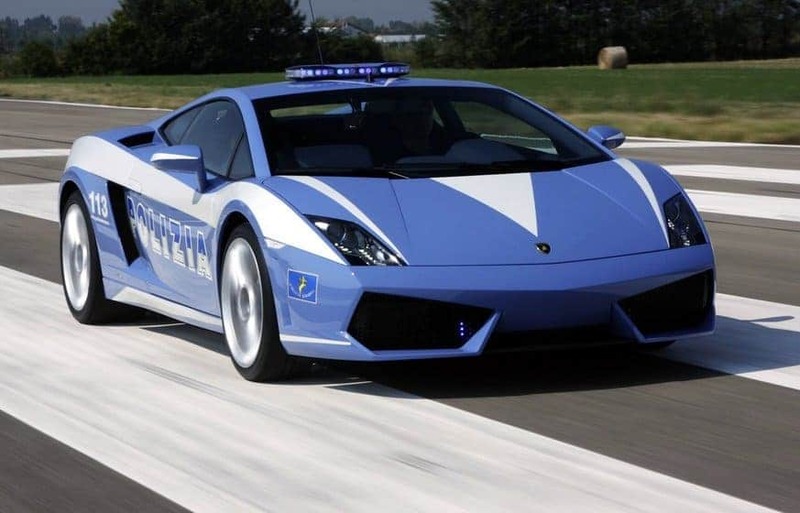 Leave it to the Germans to represent Italian luxury on the autobahn. 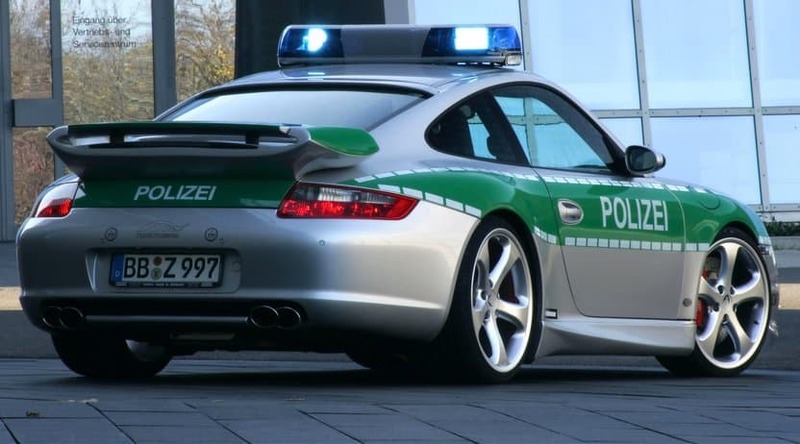 However, given how fast these things are and that the autobahn has no speed limit, we can’t say we blame them. 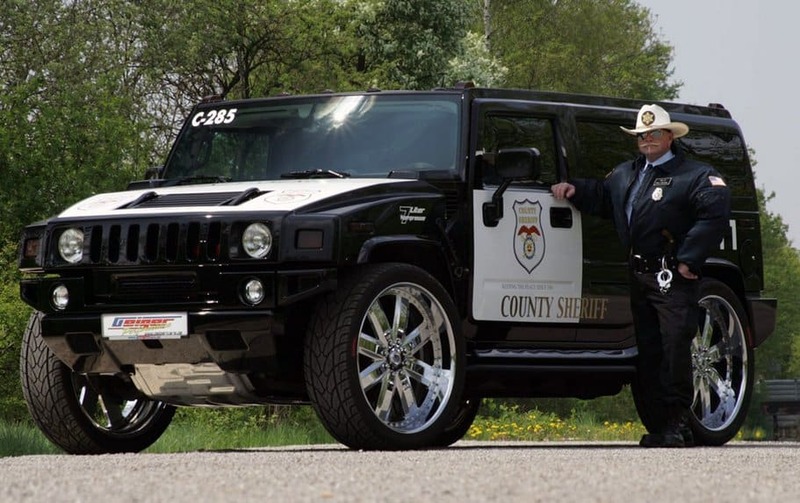 While this is usually brought out for parades in Ontario, Canada, to raise money for police-related causes, we still fantasize about being taken into the station in this bad boy. 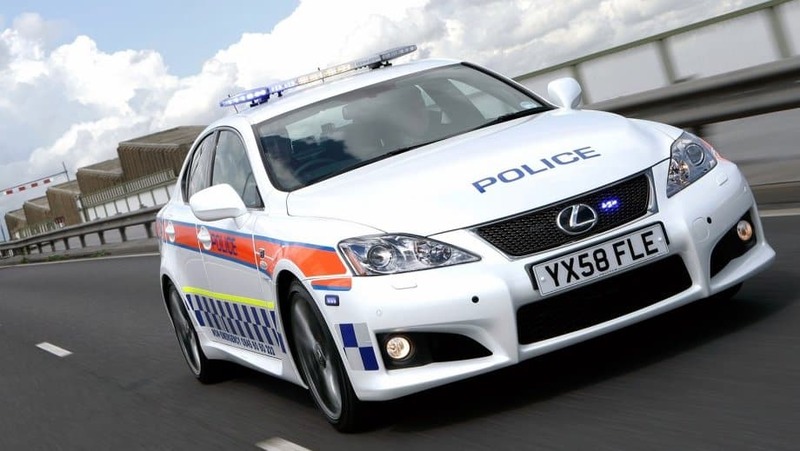 You’ll find this car in the United Kingdom, and yes, you will be jealous. 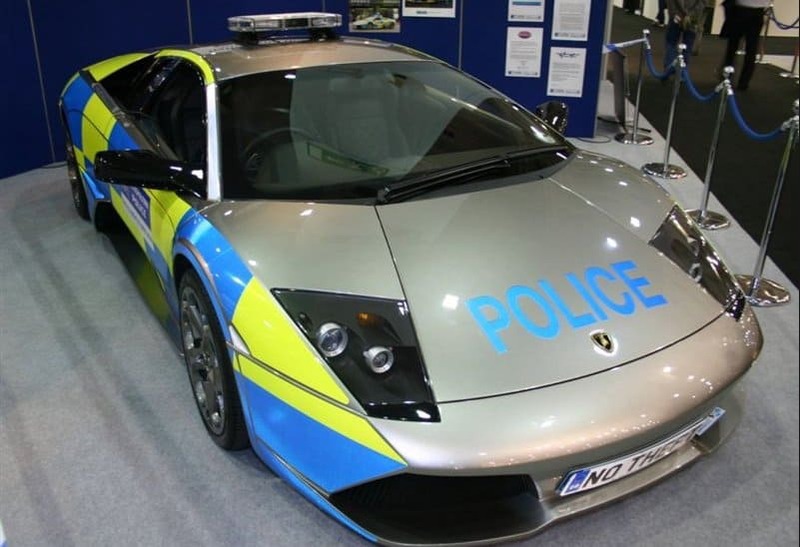 Why London police officers would need, or even find this useful other than to look cool, this Lamborghini Murciélago, we’ll never know. 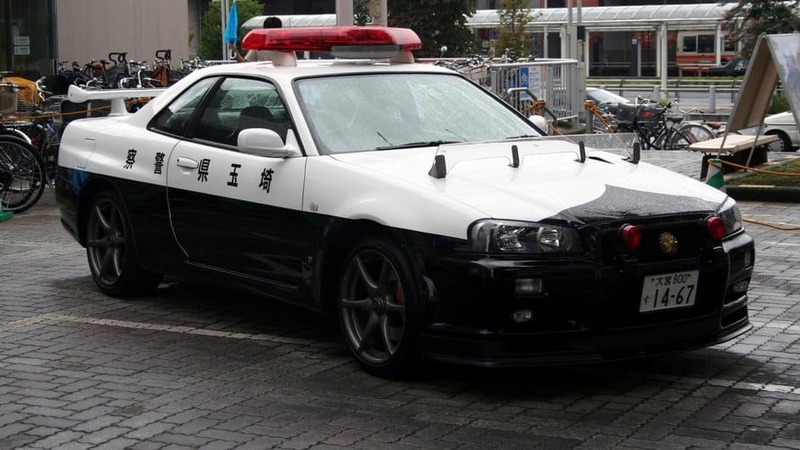 It seems fitting that Japanese police officers would drive Japanese-made automobiles but really, is a Nissan R34 Skyline GT-R really necissary? 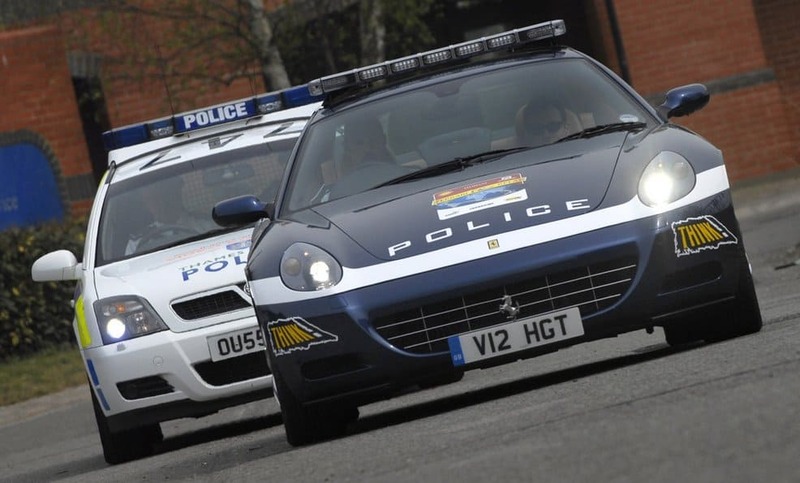 We’re not sure why England feels the need to have so many ridiculously expensive super cars on the road, but we’re glad they do. You’ll find this beauty on the streets of London. 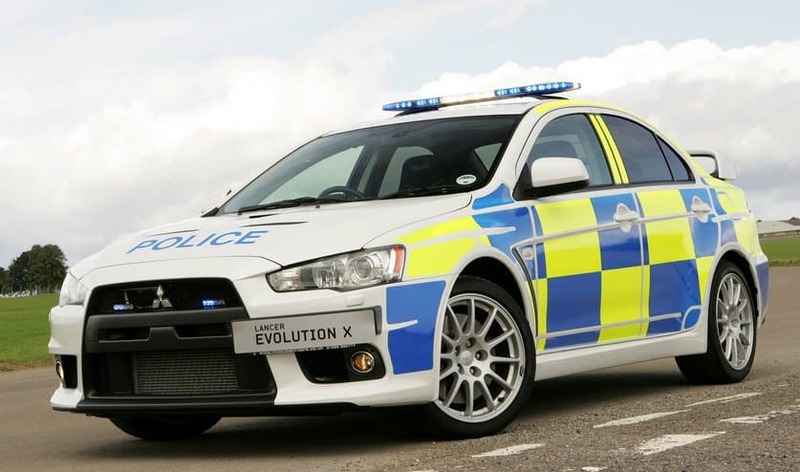 You’ll have to head to northern Europe and do a little speeding on the road to catch this bad boy. 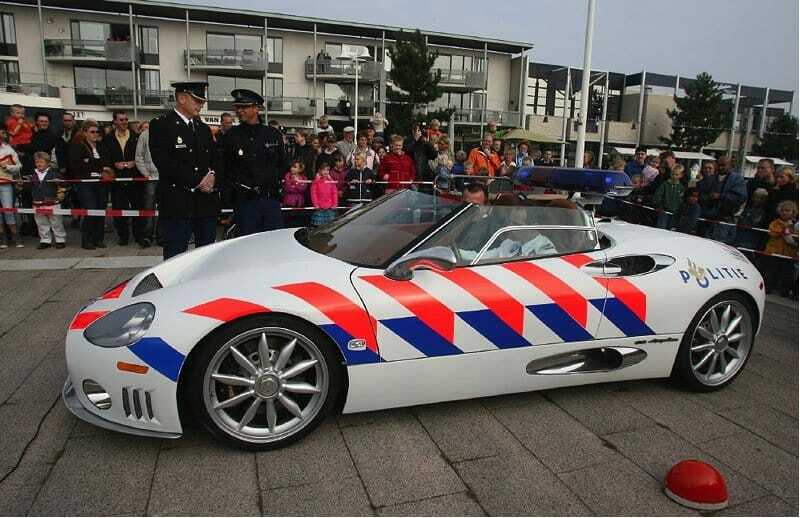 You’ll find this Spyker C8 in The Hague, Netherlands. 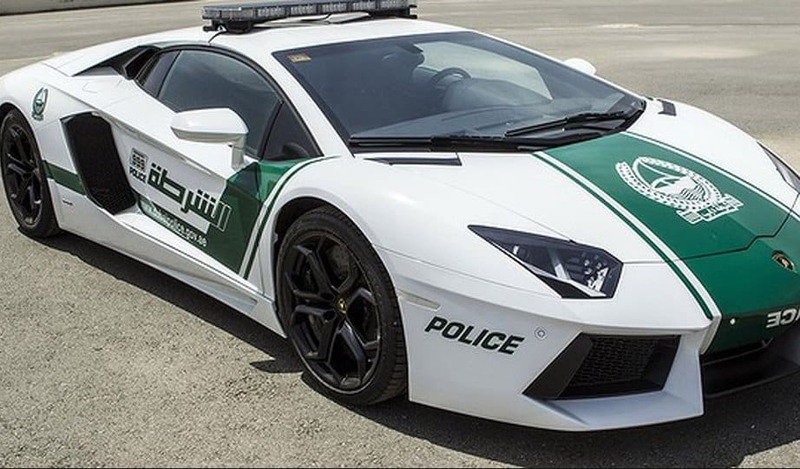 You’ll find this ridiculous Lamborghini catching the bad guys in Italy. 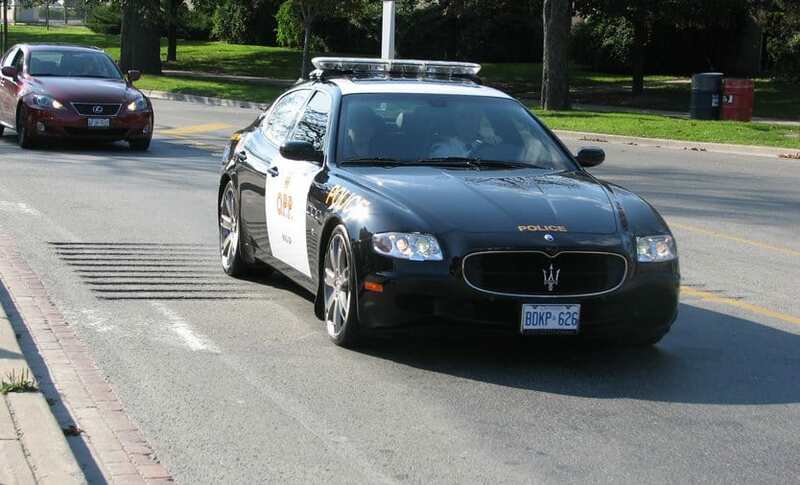 Does that really help you catch bank robbers, guys? 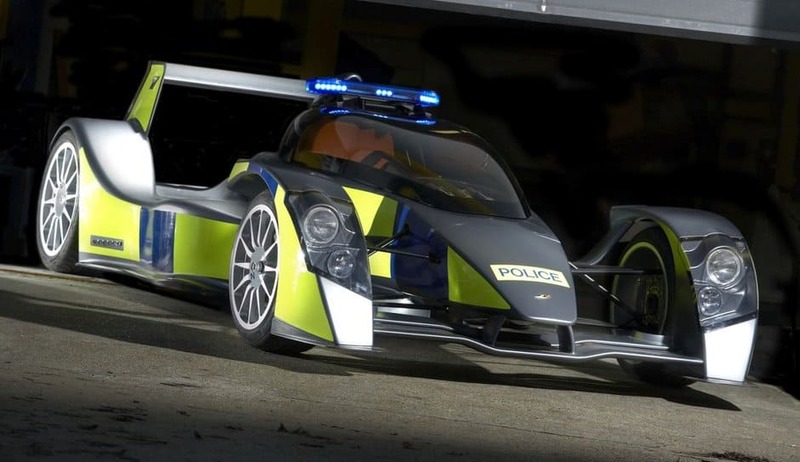 You’ll find our #1 most ridiculous police car touring the streets of London. 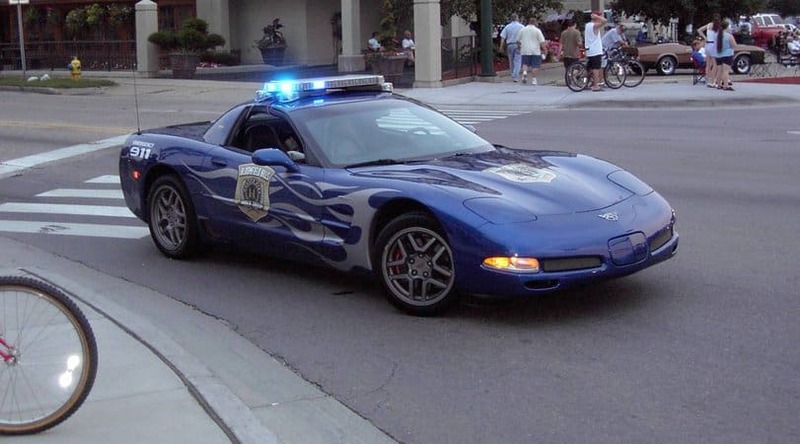 This car is not only insanely fast, but we have to assume it has no functionality as a police car. It’s probably just for show.